Mrs. Williams was born May 30, 1947 in Hazlehurst to the late Ernest & Tillie Brooks Mathews. 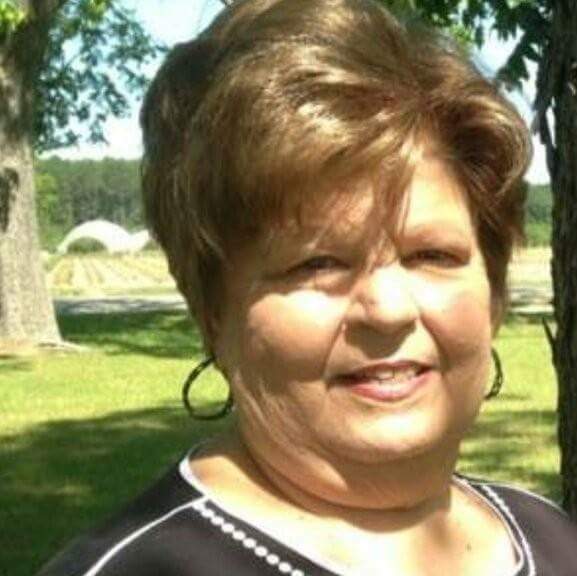 She was a member of Crosby Chapel United Methodist Church and was retired from the United States Department of Agriculture. Survivors include her daughters and sons in law, Zandra & Stacey Hutchinson of Baxley, Cheryl & Scott Tillery of Houston, TX and Rhonda & Stacey Edwards of Hazlehurst; grandchildren, Tyler & Tori White, Cody Edwards, Landon White, Cade Edwards and Emma Grace Hutchinson; great grandson, Kanon White; brothers and sisters in law, Bill & Amogene Mathews and Bobby & Carolyn Mathews; several nieces and nephews also survive. Funeral service will be held Monday, September 10, 2018 at 3:00 PM in the Chapel of Swain Funeral Home. Rev. Buddy Coss, Rev. Tommy Daniels and Rev. Bobby Gale will officiate. Eulogies will be given by her daughters. Interment will follow in Crosby Chapel United Methodist Church Cemetery. Active pallbearers are, Tyler White, Landon White, Cade Edwards, Bryan Mathews Shawn Mathews and Jimmy White. Honorary pallbearers are members of Crosby Chapel Church, Pee Wee & Eula Mae Edwards, Wanda Kersey and Mary Baxley. Visitation will be Sunday evening from 6 until 8 PM at Swain Funeral Home.